The BCRO's strange fundraiser: Any rules broken? We have written before about the GOP establishment's creep into conservative institutions like GOPAC. Once this group was a vital source of grassroots activism. Today, the establishment squats on it like it was a prime piece of property on a monopoly board. 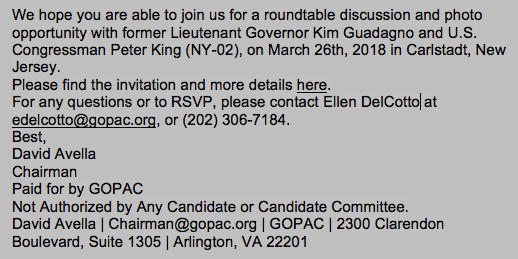 Recently, GOPAC held an event, but it was it a GOPAC event? 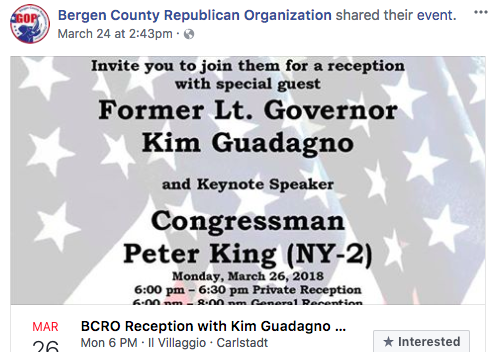 How could Kim Guadagno and Congressman King be the guests at two different events held at the same place at essentially the same time? Why is there no disclaimer on the BCRO invitation? And what is the Bergen County Republican Finance Committee? It isn't filed with the New Jersey Election Law Enforcement Commission (NJELEC)? It doesn't appear to be associated with a Federal PAC. In promoting the event, the BCRO would later adjust the time to more precisely fit the GOPAC speakers event. How could the speakers be in two events at the same time? 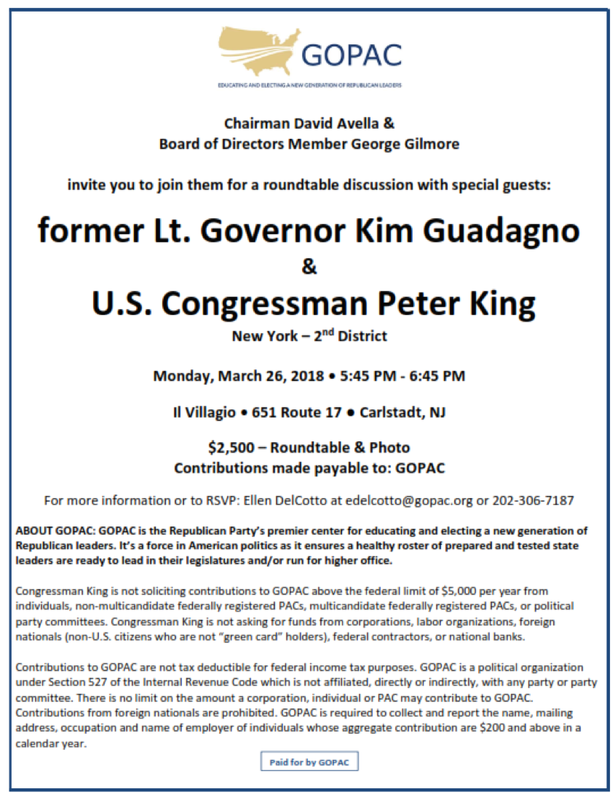 Both these events were heavily promoted by the BCRO and GOPAC. So whose event was it really? Who got the money? And to what account did the money go... federal or state? How was the money used? On behalf of which candidate? Questions for the FEC or NJELEC?